Hey guys! Do you have an old sweater laying around? 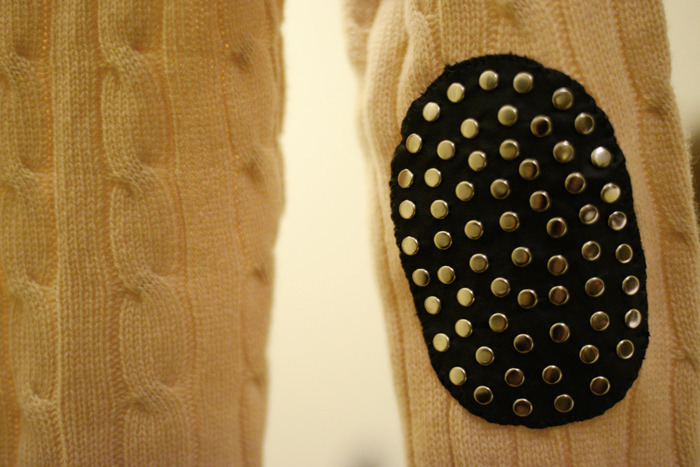 Well here's a fun tutorial on how you can spruce it up with some studded elbow patches! 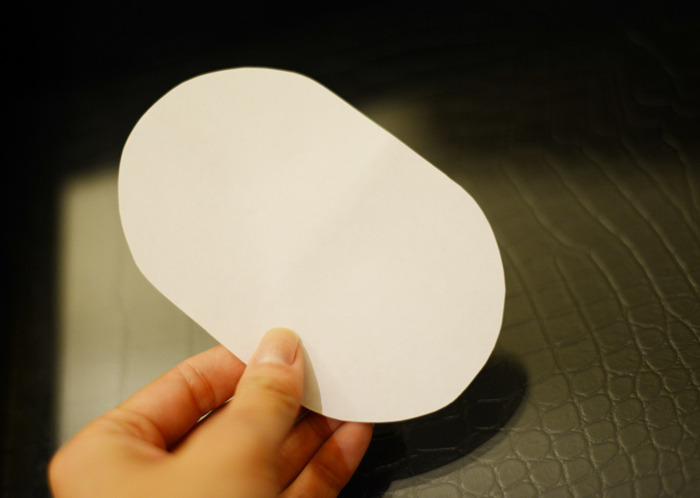 Step 1: Take a piece of paper and cut out an oval stencil for the elbow patches. 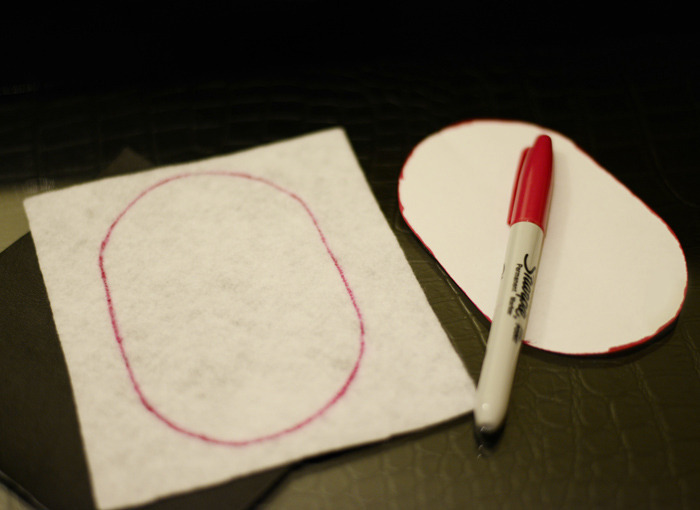 Step 2: Outline the stencil on the back of the leather/vinyl piece. 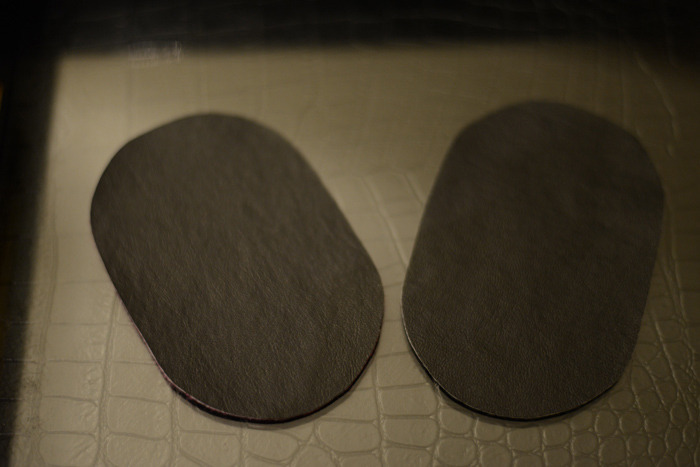 Step 3: Cut out two elbow patches. 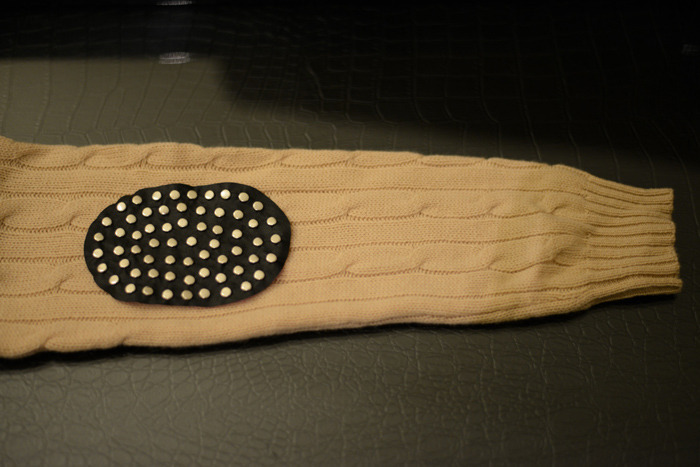 Step 4: Clasp the studs on both elbow patches. If you make a mistake, you can always use your razor knife to unclasp the studs. *Be careful not to cut yourself! 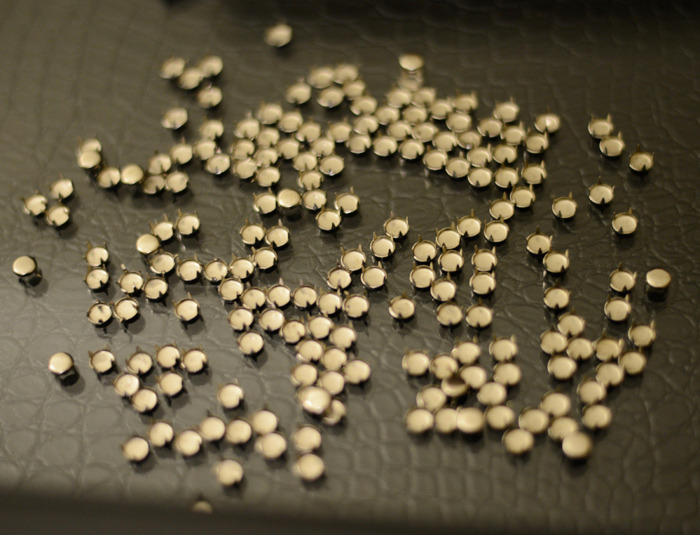 Step 5: Use as many studs as you like! The more the better. Step 6: Check to make sure all the studs are securely reinforced. 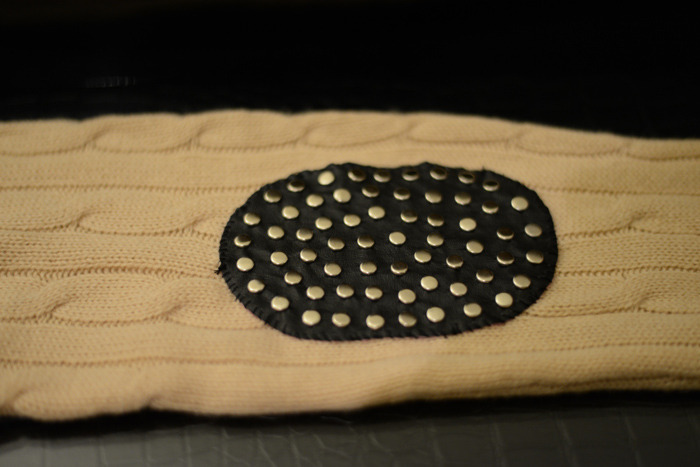 Step 7: The studded elbow patches are now ready to go on the sweater! Step 8: Wear the sweater on and mark the center of both elbows with a permanent marker. Take the sweater off and lay the back of the sleeve on a flat surface. 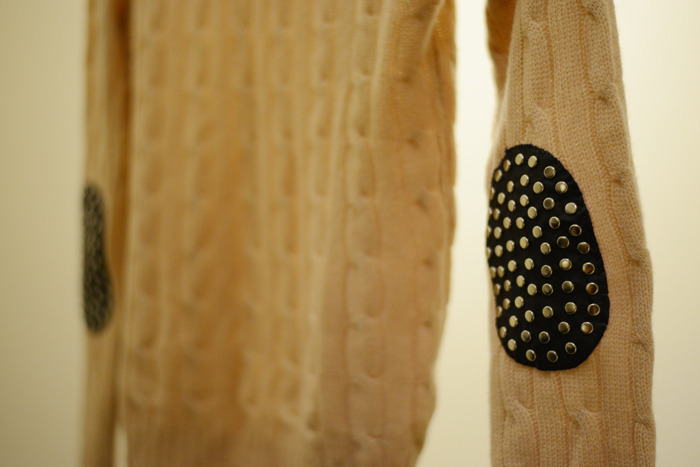 Next, place the studded elbow patch where you have marked it with the marker. Step 9: Thread needle and sew both patches on the back of the sleeves. Be careful not to sew through the front side of the sleeve. 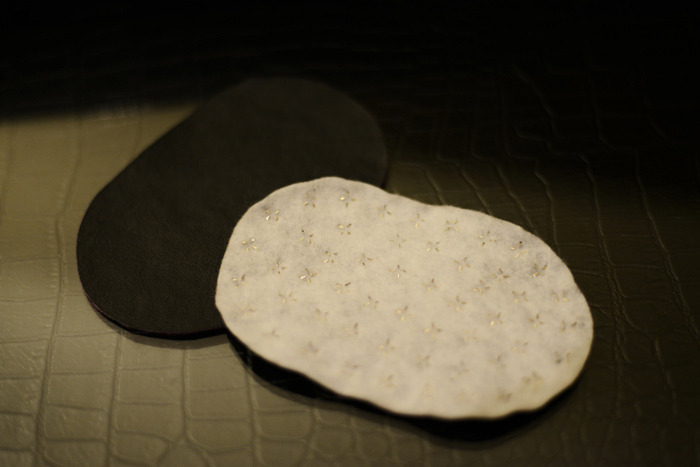 Step 10: The back of the sleeve should look like this. I hope you enjoy this tutorial. 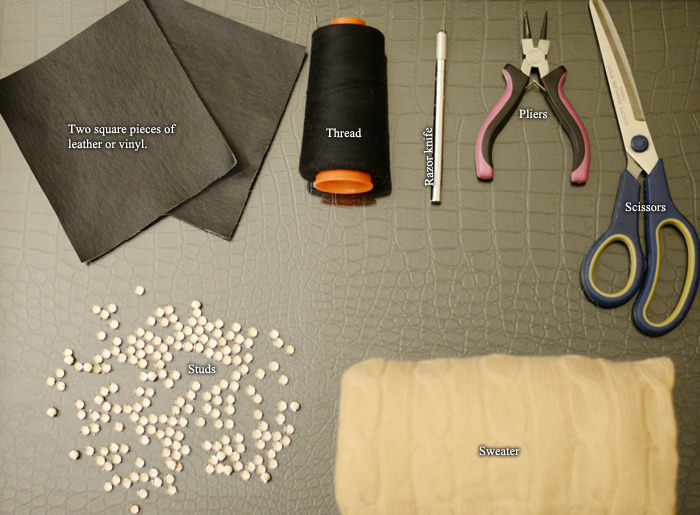 Please credit Behind the Seams if you are using this DIY. Thanks!